It is that time of year again for Rudolph’s Five and Dime: A Holiday Bazaar. This event will be held in the Blair-Shannon Grand Lounge (across from the Plaster Student Union). Rudolph’s will be held Dec. 6-7. On Friday, there will be a live auction at noon featuring lots of exciting items, including gift cards from local vendors, holiday crafts and homemade baked goods. 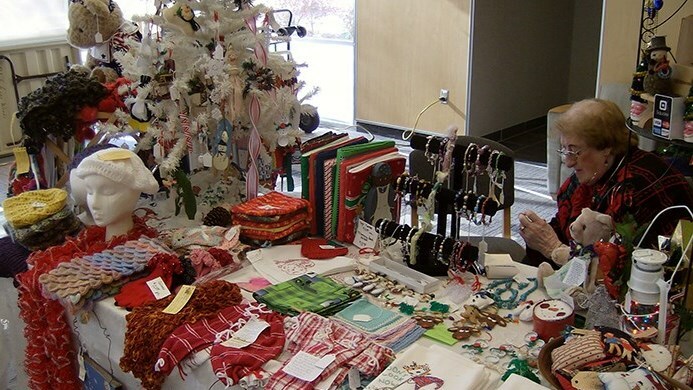 Springfield community members and Missouri State student organizations are working hard to put together booths from which they will be selling all kinds of items, including jewelry, scarves, homemade soaps and much more. Stop by and pick up some last-minute holiday gifts or a special treat for yourself! Proceeds from this event will go to the Wilda F. Looney Residence Life Leadership Scholarship fund sponsored by the National Residence Hall Honorary. If you would like to participate as a vendor or make a donation to the silent auction, please contact Program Coordinator Travis D. Schilla at 417-836-6591.